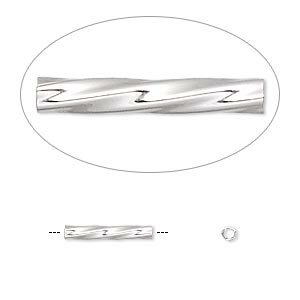 Bead, sterling silver, 10x1.5mm twisted tube. Sold per pkg of 10. Item Number: H20-5987MB Have a question about this item? This style of bead is perfect for bracelets or necklaces, on multi-strands of cord or beads. Bead, sterling silver, 10x2mm twisted tube. Sold per pkg of 10. Bead, sterling silver, 12x2mm twisted tube. Sold per pkg of 4. 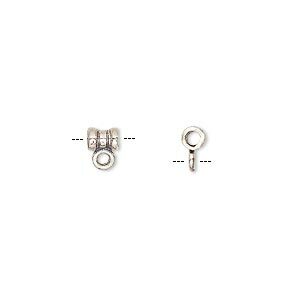 Bead, sterling silver, 5x5mm round tube with open loop and 4mm hole. Sold individually. 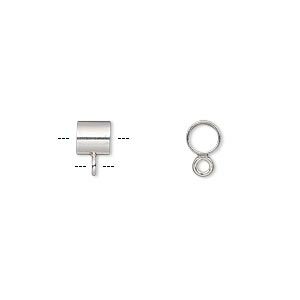 Bead, sterling silver, 5x5mm round tube with closed loop and 4mm hole. Sold individually. Bead, JBB Findings, sterling silver, 6x5mm round tube with pattern, 2.5mm hole. Sold per pkg of 6. 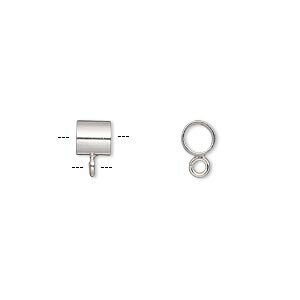 Bead, JBB Findings, sterling silver, 5x3mm round tube with closed loop, 2mm hole. Sold individually. Bead, antiqued sterling silver and copper, 12x5mm round tube with textured serrated design, 2.5mm hole. Sold individually. Bead, JBB Findings, sterling silver, 6x4mm round tube with closed loop, 2mm hole. Sold individually. 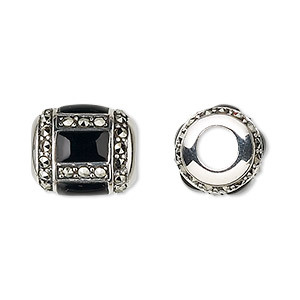 Bead, marcasite (natural) / black onyx (dyed) / sterling silver, 15x13mm round tube with 5.75mm hole. Sold individually.